We’ve all seen those swoon-worthy Instagram photos or catchy Facebook videos that transport us to dreamy, amazing places around the world. And I’m probably not the only one who has promptly added those destinations to my travel dream list. Precisely five million other people who saw the same viral video did, too. 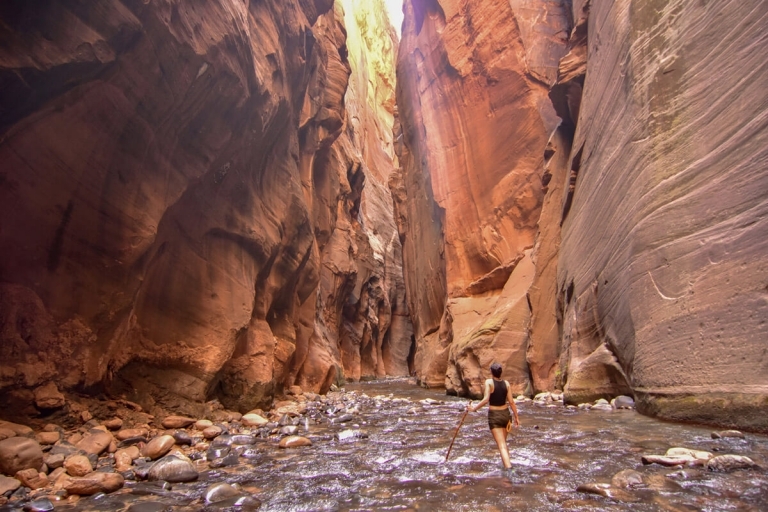 The problem with these “bucket list” trends powered by social media isn’t just that our experiences as tourists are negatively impacted by all the crowds. We might actually be loving these places to death. While increased tourism creates much-needed jobs (yay! ), too much of a good thing can make it really hard for locals to go about their daily lives, and it can negatively impact the environment–from encroaching on wildlife (birds need personal space, too) to harming fragile ecosystems to endangering historical sites. There’s even a term that has been coined to describe it: overtourism. This doesn’t sound very enticing for any of us–locals, tourists, or grizzly bears looking for lunch. But the good news is that this world is full of awe-inspiring places that are relatively unknown to those who don’t live there. Of course, the paradox is that as I share these spots with you, they’re going to become more well-known, and there’s a risk that they’ll face the same fate as their overcrowded counterparts. So I encourage you to look beyond what’s trending on Instagram as you make your travel plans, seek out ways to support the local community and environment when you travel, and don’t plan every minute of your itinerary–leave some room for serendipitous adventure, and you just might find some truly secret places. Here’s a list of little-known alternatives to popular destinations in the USA, Canada, and Latin America to help you escape the crowds! Thanks to the amazing travel bloggers who collaborated with me to contribute a lot of these ideas! Many of their blogs expand on the tips they share here, so be sure to check them out at the end of each entry (the ones without anyone listed were written by yours truly). Instead of Acadia National Park on Mount Desert Island → Go to Acadia National Park on Schoodic Point or Isle au Haut, or take a Down East Maine road trip. Acadia National Park’s renown among New England destinations is well-deserved, and it’s a dream trip for many people. But during high season, the main portion of the park on Mount Desert Island (MDI) gets extremely crowded. In 2017, Acadia saw 3.5 million visitors, a 60% increase over the crowds just a decade prior (this Google image search gives you a little peek). A new transportation plan has even been proposed to alleviate all the congestion. And while Mount Desert Island is home to the largest section of Acadia–with enough hiking trails, scenic views, and harbor towns to keep you busy for a week or more–there are other sections of the park nearby that are much quieter. Check out the Schoodic Peninsula, which is home to a cute little harbor town and a small section of Acadia that’s especially popular for biking (with 8+ miles of bike paths). Or spend some time on another neighboring peninsula and cluster of islands–the Blue Hill Peninsula, Deer Isle, and Isle au Haut. Hike nature preserves filled with beautiful pink granite slabs, watch lobstermen at work from Stonington (Maine’s lobster capital! ), or take the mail ferry out to the most remote part of Acadia on Isle au Haut. Heading farther “Down East” (up the coast) will take you into the heart of coastal Maine, and this makes for an incredible road trip in the summer or fall. Avoid peak season: As much as it pains me to say it–because summer is pure bliss in Maine and I absolutely want you to experience it–you’ll see the most crowds in Acadia during July and August. Take the bus: The free Island Explorer bus helps reduce congestion (and your carbon footprint!). Follow the suggestions from the National Park Service: arrive early or late to avoid midday traffic, bike (this is a spectacular way to enjoy all the views at a slower pace! ), and check out the sunrise somewhere besides Cadillac Mountain. And not merely a suggestion: make sure you park only in designated areas. 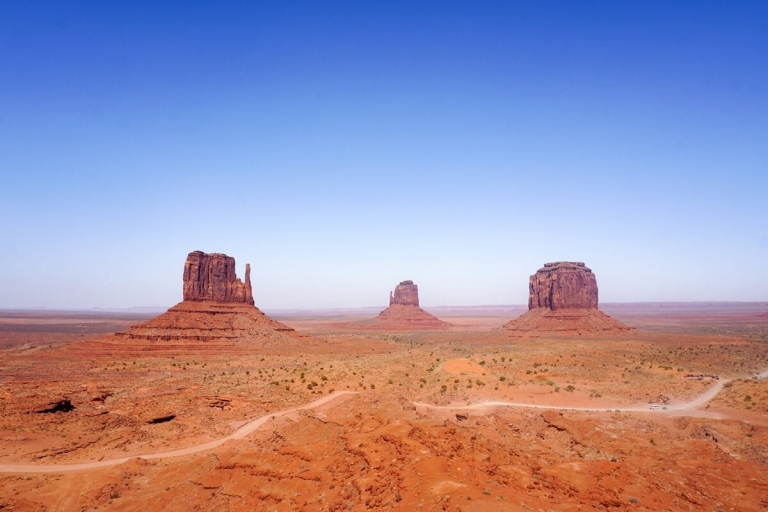 Instead of Zion National Park → Visit Monument Valley Tribal Park. The stunning rock formations at Monument Valley Tribal Park see far fewer visitors than Zion National Park, so it’s much easier to get away from the crowds. You can drive the 17-mile loop through the park yourself, but the rest of Monument Valley is accessible only via tours led by Navajo guides–which is an incredible experience that should not be missed. Our afternoon with Navajo Spirit Tours was the highlight of our road trip through the western United States. Our guide took us to stunning viewpoints and rock arches that we rarely shared with anyone else. And at every stop, he shared details about Navajo history and culture that is intertwined with the land. Considering that many national parks were created by forcibly removing Indigenous people from their lands, it is incredibly meaningful to experience Monument Valley alongside a descendant of those who originally called it home. Spending your tourist dollars to support local business and learn about Navajo culture while visiting one of America’s most iconic landscapes is the perfect way to get off the beaten path. I don’t blame you. It’s one of our favorite places in the world. But getting away from the crowds will take more work! Visit during the winter off-season: The scenery will be just as beautiful, and it hardly every snows in southern Utah so you can still enjoy the trails without a bunch of extra equipment. Get up early: If you’re game to brave the crowds in spring and summer, you’ll have to get up early. We set our alarm for 4:30 AM and stood in line to catch the first shuttle into the park at 6:00. It was a brutal hour to leave our tent, but absolutely worth it to have the famous Narrows hike all to ourselves as the sun rose over the canyon! By the time we made our way back a couple of hours later, the hike was so packed that it looked more like Disneyland than untouched wilderness. 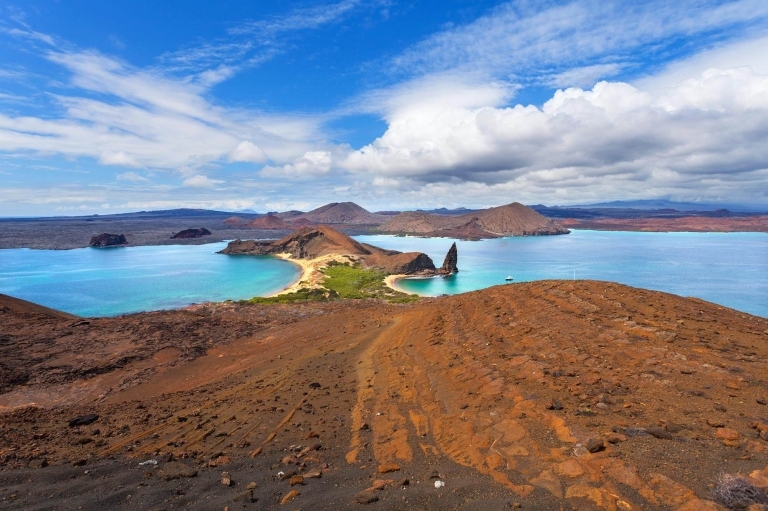 Instead of Puerto Ayora in the Galápagos Islands → Go on a small cruise to the Galápagos. Ecuador is working hard to manage the islands at the same time that it’s allowing for local business and work opportunities. 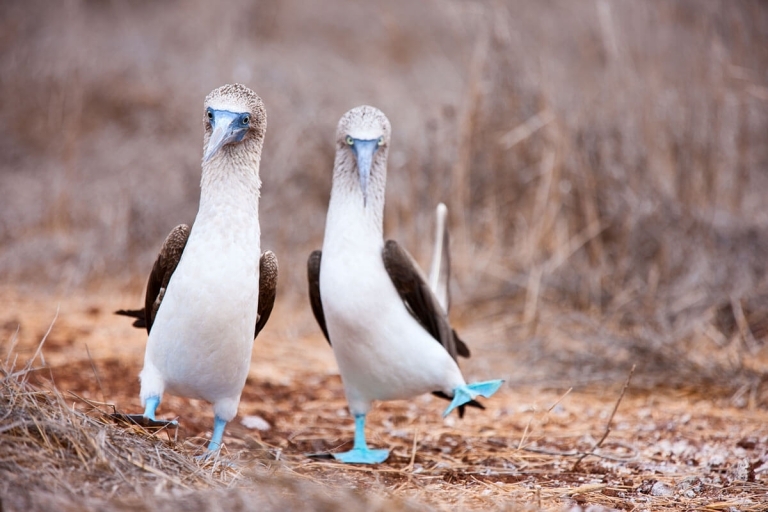 Island populations are limited by decree, as are flights and boats. If you go, take a cruise with a luxury or a shorter, economy company–as those are highly regulated. It will be more expensive than booking tours separately. But you’d be spending less time overcrowding the main island cities, and you will help conservation and local economies when employees are Ecuadorian. Make sure that there’s a Government Naturalist on board for shore excursions. Day trips are available, but make sure they are certified and report any activities that endanger wildlife and natural environments. 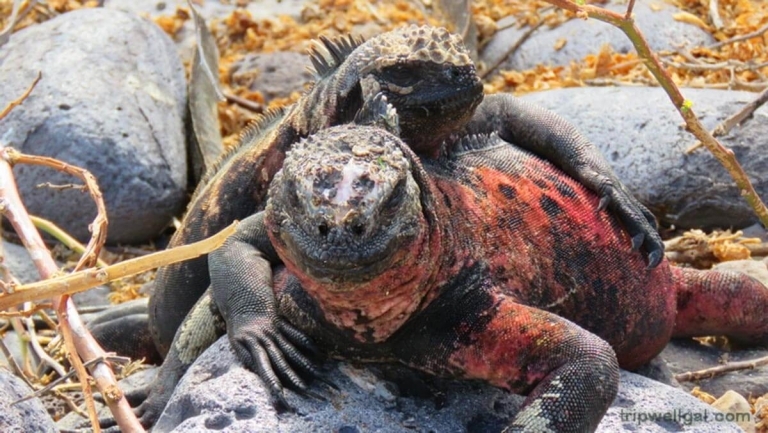 If you venture out to the Galápagos Islands independent of a tour, help preserve resources and remember that creature comforts are being imported–nothing is manufactured on the islands. Use bicycles and buses to reduce your carbon footprint. Don’t eat over-fished species and ask where the fish you order are caught. Pay attention to trail guides and respect wildlife that is unafraid of humans–help preserve that as well and don’t interact, feed, or touch animals or sea life. Instead of Yellowstone National Park → Visit the National Bison Range. 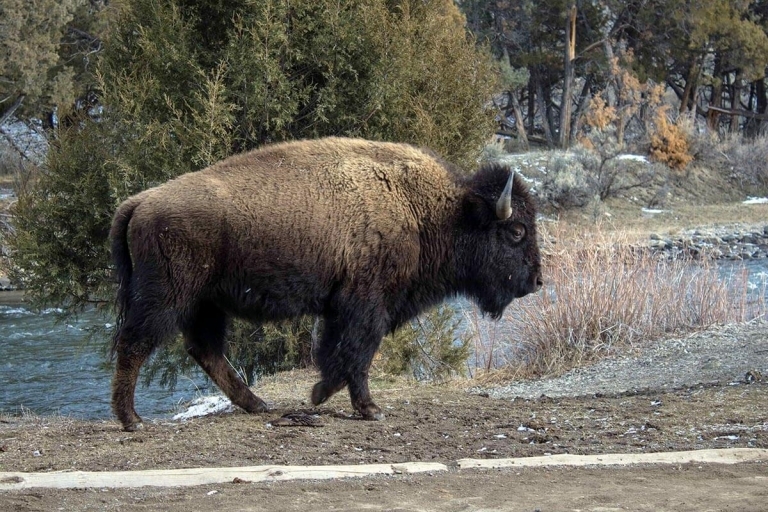 One of Yellowstone’s biggest draws (besides Old Faithful, of course!) is the chance to see bison. And getting to see these huge, magnificent creatures up close is a real treat. But Yellowstone isn’t the only place you’ll find bison. Hundreds of them live in the National Bison Range (NBR) near Missoula, MT, just a half-day’s drive north of Yellowstone. The NBR is open year-round for scenic drives, short hikes, and exhibits on wildlife, conservation, and Native American history in the area. All the concerns about overcrowding in Yellowstone really only apply to the summer months. Visiting at other times of year–especially in the winter–means you can have the park nearly to yourself. 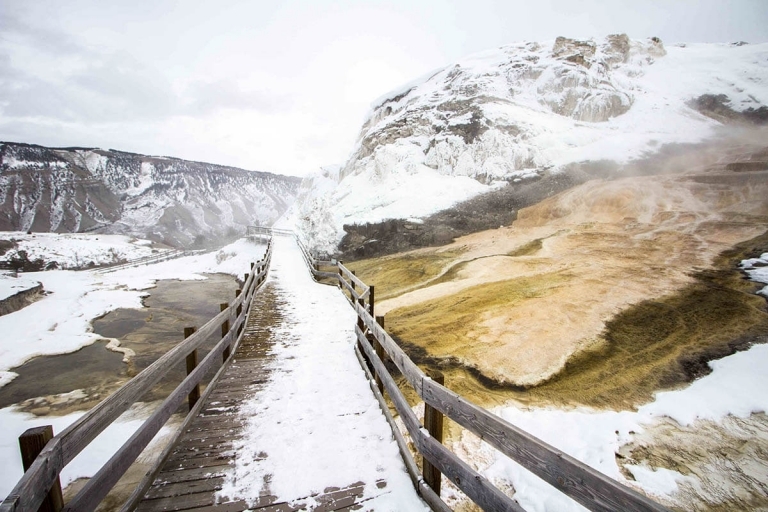 The road that connects the Mammoth Hot Springs entrance to Cooke City stays open year round (it’s the only one that does), and so do the boardwalks through the springs. You’ll be able to enjoy Mammoth in rare form, and without any selfie sticks obstructing your view. But the real magic of Yellowstone in the winter is the cross-country skiing through the park. Untouched snow will be waiting in every direction, and you can ski as far as you want. Most likely, you won’t see a single other person the entire time. Instead of a resort in Punta Cana → Head to Samaná, Cabarete, Monte Cristi, or Jarabacoa. 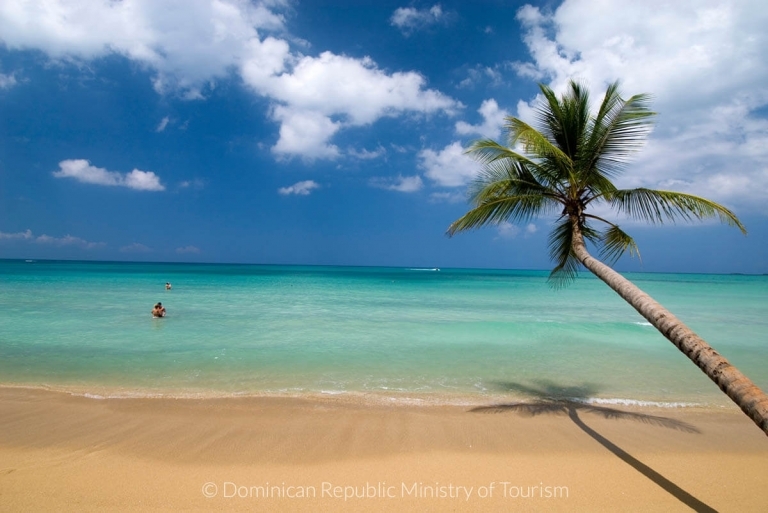 Punta Cana is a big tourist hot spot in the Dominican Republic. However, many tourists stay within the confines of their resort without venturing into the country. But there are several other unique, safe, and fun destinations in the Dominican Republic. 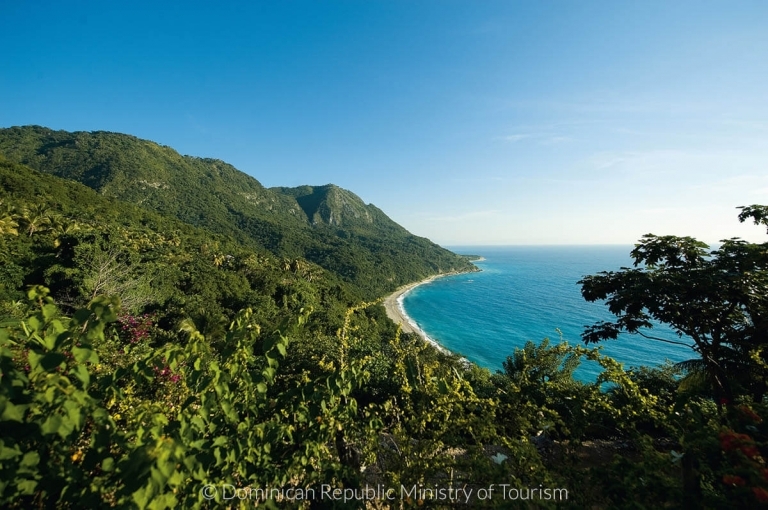 We have the Dominican Riviera in Barahona, the only vineyard in the Caribbean in Azua, the tallest mountain in the Caribbean in the Dominican Alps, way better beaches in Monte Cristi and Pedernales, fresh mountain towns like Jarabacoa and Constanza, and the bohemian active-lifestyle expat town of Cabarete–and so much more! 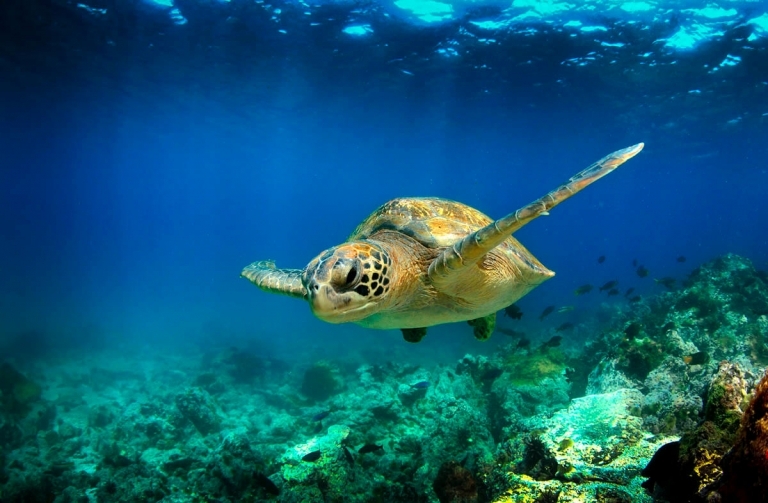 This is also a great way to spread tourism money to other parts of the country that could use the revenue, as well as to get in touch with the local culture and natural wonders of what make the Dominican Republic the top travel destination in the Caribbean. Instead of Machu Picchu → Explore the mountain-top citadel of Kuélap. Machu Picchu might be the jewel in Peru’s tourism crown but this Inca fortress is suffering from the up to 5,000 visitors that arrive here per day. UNESCO has long been threatening to place it on their list of heritage sites in danger, while, for the visitor, it can be a suffocating and increasingly formal experience, particularly as you’re now only able to visit with a tour guide. 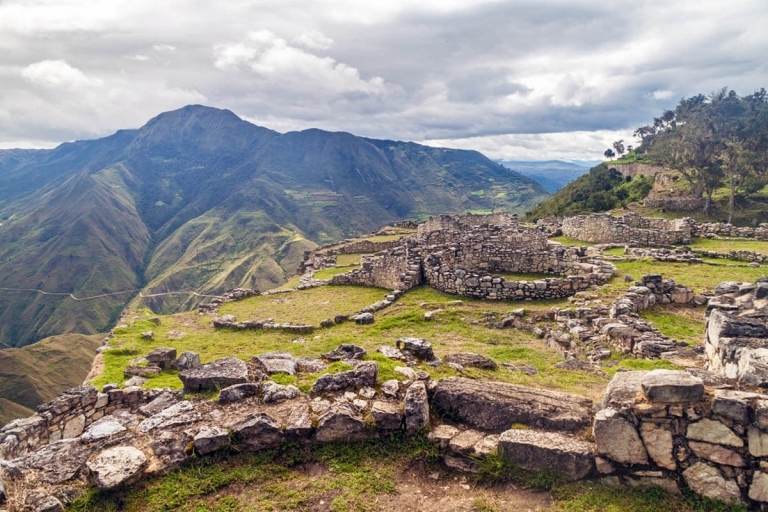 Situated in the northern Amazonas region of Peru, Kuélap is another mountain-top citadel, but this time, one constructed by the ancient Chachapoya people at least a century before Machu Picchu. Not only is this site seriously old (estimates suggest it was fist inhabited from 6th-century AD), but it has an equally striking location, at an elevation of 3,000 meters with panoramic views across the Uctubamba river valley. What’s more, the 550 houses found here contain fascinating rhomboid friezes on their walls as well as holes beneath what would have been the floor where mummified human remains have been found–indicating that the Chachapoya lived with their dead. The Inca Trail, the most popular route to Machu Picchu, has long suffered from the heavy footprints of visitors, with the number of hikers having been limited to 500 daily to try and offset their impact. But to truly help protect this historic Inca road, you’re better off taking an alternative route. The three-day hike to Choquequirao and then on to Machu Picchu is perhaps the most off-the-radar option. This challenging trek takes you to the “Cradle of Gold,” an Inca city believed to be three times the size of Machu Picchu. It’s a truly unique experience with many of the temples and terraces still hidden by thick jungle and where visitor numbers rarely exceed a dozen per day. From here, it’s another five days’ trekking through untouched landscapes to reach Machu Picchu. Read more on her blog (including some important tips for visiting Kuélap responsibly): Should You Visit Kuélap in 2018? 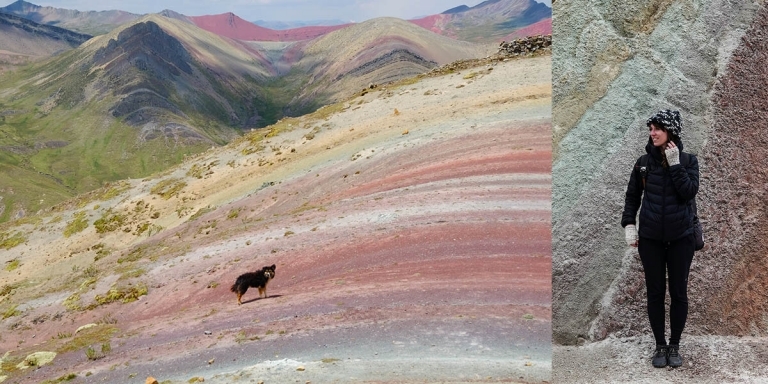 Instead of Vinicunca Rainbow Mountain → Visit Palccoyo Rainbow Mountains. For some reason, most tourism agencies haven’t discovered Palccoyo yet, so it’s peaceful, with about 100 tourists a day. And there are more rainbow mountains to look at! Plus, it’s not as dangerous and uncomfortable of a hike to get there. Do an overnight tour with CBC Tupay through Lokal Travel. They’ll take you halfway there to an Indigenous village where you will stay the night, and then get you to Vinicunca first before the crowds the next morning. 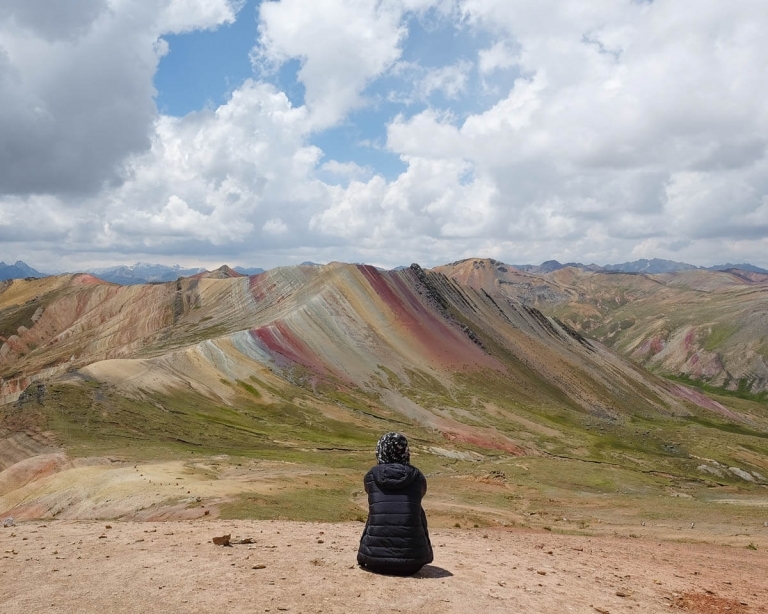 Read more on her blog: The Rainbow Mountain in Peru Is Over. Do These Rainbow Mountains Nearby Instead. Instead of a Banff National Park road trip → Immerse yourself in Indigenous culture as you learn from those who inhabited this region for thousands of years. 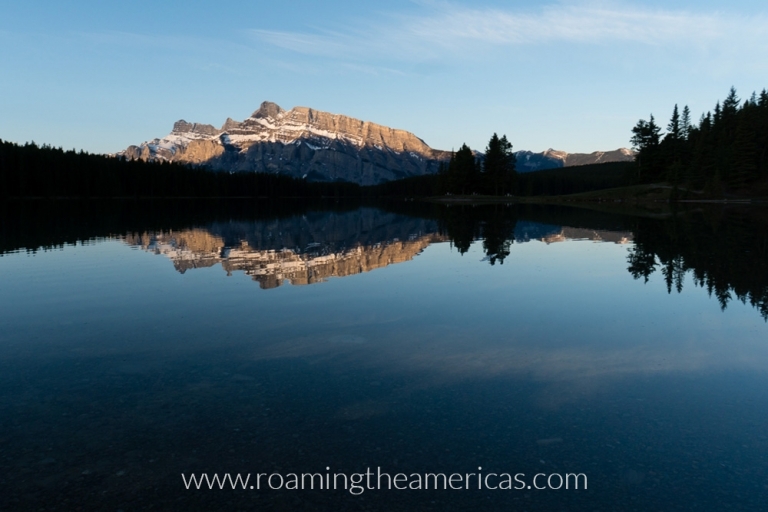 If you’ve seen the Instagram images of a Caribbean-blue lake, brightly colored canoes lined up on the shore, and mountains forming the backdrop, it’s likely that you’ve seen Banff National Park. This awe-inspiring park in the Canadian Rockies has shot to the top of bucket lists around the world. Getting away from the throngs of people in Banff not only lets you experience more of the natural landscape, it also allows you to get to know the area through the eyes of those who have been inhabiting this land for millennia–long before European settlers arrived. Banff National Park is located on the traditional territory of the Blackfoot Confederacy (the Pikani, Kainai, and Siksika), Tsuu T’ina of the Dene people, and the Stoney Nakoda Nation. The Stoney Nakoda (known in their Nakoda language as the Iyarhe Nakoda) still call this area home. But despite having acted as guides that helped European explorers survive, they were later forcibly removed and confined to reserves outside the park and denied access to the park for most of the 20th Century. However, across Canada some see the national parks as a path forward to reconciliation. And as travelers–Canadian or not–we have the opportunity (and responsibility) to learn about the places we travel from the people who call it home. If you’re heading to Banff, there are plenty of opportunities to do that. 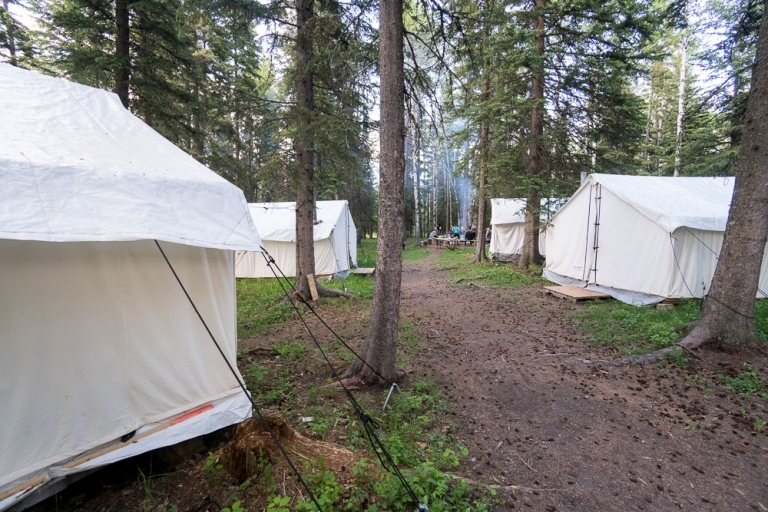 Stay at Stoney Nakoda Resort as a base camp for your adventures. You can also head out on a medicine walk or a snowshoe adventure with Brenda Holder, who is a Métis guide with a Cree lineage and the owner of Mahikan Trails. The Power of Indigenous Tourism – The Strength of Connection from Indigenous Tourism Canada on Vimeo. The fourth and final installment in the Power of Indigenous Tourism video series produced by ITAC focuses on the strength of the connection between outdoor experiences and Indigenous culture and history, and highlights Brenda Holder, owner of Mahikan Trails and a member of the Aseniwuche Winewak Nation in Alberta, Canada. Want to go farther afield? Head to Painted Warriors Ranch for a truly peaceful experience to learn about Métis and other Indigenous cultures from owners Tim Mearns (Saulteaux/Scottish descent) and Tracey Klettl (Cree/Mowhawk and Irish descent). Learn fire making and wilderness survival skills, and put them to the test as you start a fire for dinner. Get archery lessons and then head out into the woods for some 3D target practice (which is apparently a thing, and way more fun than I anticipated). And enjoy a night spent outside “comfort camping” in a trapper tent. 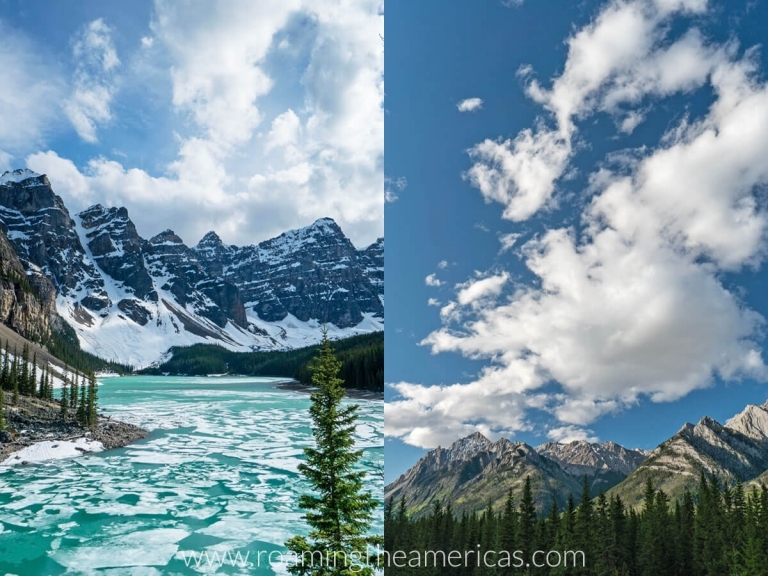 Which of these lesser-known places in the USA, Canada, and Latin America would you most like to visit? Let me know in the comments!